Hi guys, first off, great forum. I have been browsing and have fixed some of my home problems with advice from here several times. 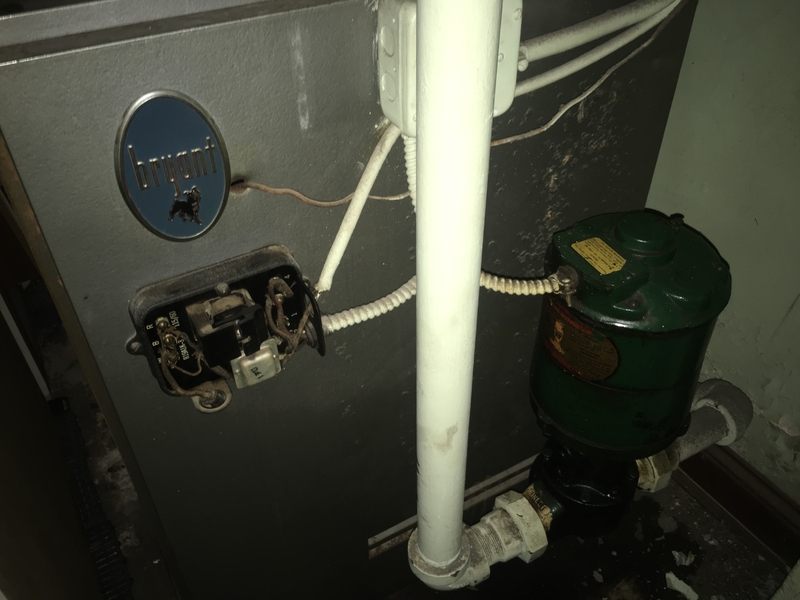 I'm not very knowledgeable about Boiler or AC systems in general, but I'm decently handy with tools and can generally fix/figure things out, within reason. So, here's what's going on. There is a loud buzzing noise from the gray/black box next to the pump. Looking around online I'm assuming this is the aquastat? It never buzzed that loud before. When I give it a bump, the buzzing stops, the burners turn on, heating the water in the system. But. The circulation pump never cuts on, so naturally no hot water is being pushed around the system. Is that the culprit? Should I order a replacement? Is there some trouble shooting I can do to make sure that's the issue? I took some pics, working on a way to upload them to share, and will update this post shortly. Thank you in advance for any advice. I'm not looking forward to having to call a professional as they are not cheap in my area, and I don't really have the funds. So that will be my last resort I can't repair it myself. That's not an aquastat. It looks like a Relay/contactor. Contacts may be burnt. Thank you, that appears to be the case. Just now I was able to force the contact down, and the pump cut on/burner came on. So the rest of the system appears to be working just fine. What causes the contact magnet to be come to "weak" to pull the contact into closing the circuit? It is very dusty/dirty so maybe that has something to do with it. Is this repairable? Or do I need a new relay? And can anyone recommend a relay? As far as I can tell, the relay is a Honeywell R19A1K-3. Google doesn't recognize that model. Thanks for the help guys, can't wait to be warm again! *edit* as far as I know and can see, I have a ONE zone system. Would this taco relay be compatible? It could also be a transformer problem, measure the voltage across the coil, it should be 24-28v when it's trying to pull in. There's only so much life in contacts. Your going to have to replace this with a Honeywell RA89A which has 2 wire series 80 low voltage wiring. Your wiring is old RHW rubber covered wiring (could be brittle). 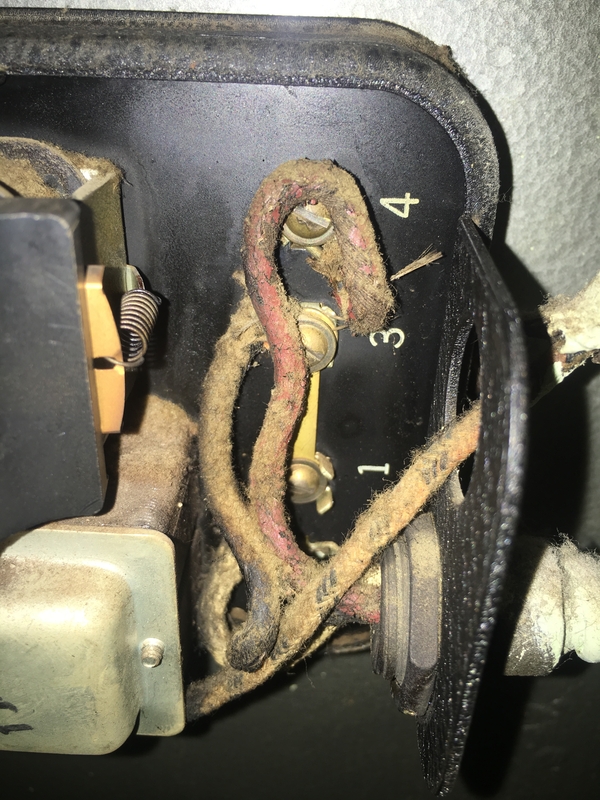 If your thermostat or other controls are three wire type they will have to be changed. I was thinking that about the boiler......It's old. It is old but many times it's easier to pay a little extra for fuel every month and forego the efficiency of a new boiler. Spreading the added cost of fuel over many months is easier than taking a hit, all at once for a new boiler. 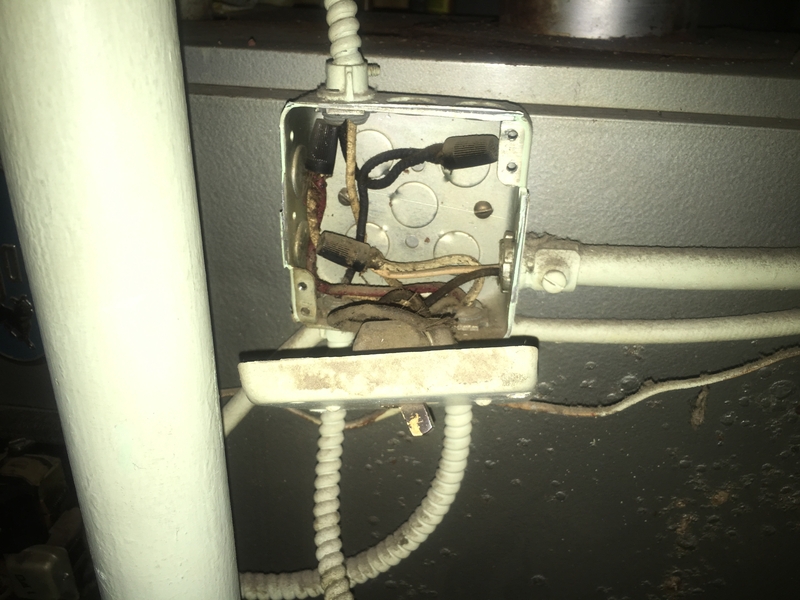 The OP said he really isn't in a position right now to pay for a service call. 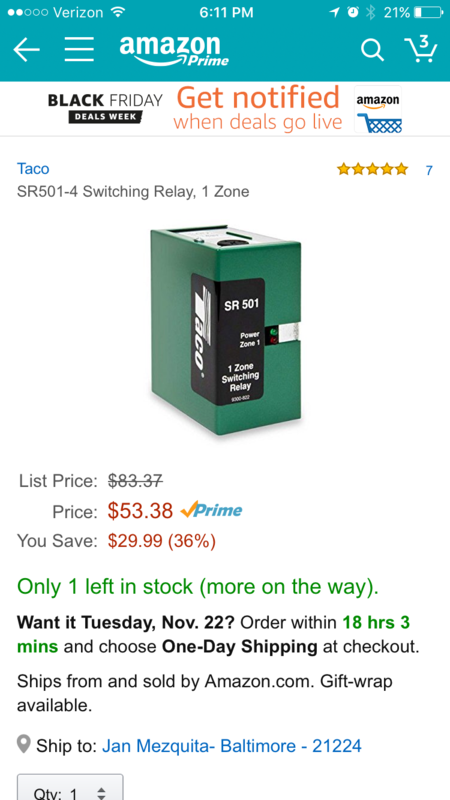 Thanks everyone for the replies, just ordered the new relay that was suggested. I borrowed two plug-in oil radiators so I'm ok for the next few days. 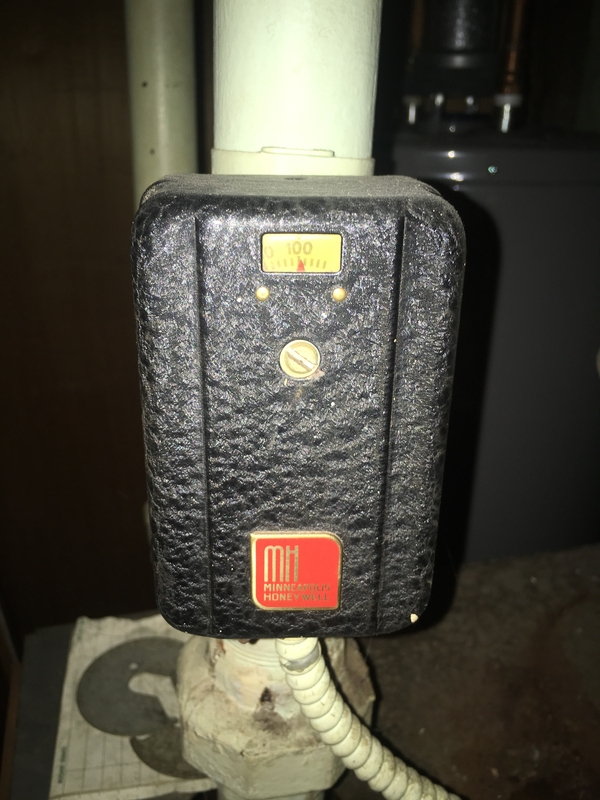 Is there a market or museum for 50 yr old heating system parts? Joking of course . Ok, so now looking for replacement thermostats, just to see how much they are before digging in tomorrow to check if it's a 3 or 2 wire unit. Is there a particular name for this type of unit I should be searching for? Any suggestions on a replacement? Thank you guys for all the help, really, I wouldn't know where to begin looking if it wasn't for your help. It being old was just an observation. They don't build things to last like that any more. When I look at your pictures, it looks like the white wire, connected to the "W" terminal is from a different source. The wires on terminals "R" and "B" are from one cable, the wires on "3" and "4" are from a second cable and the wire on the "W" terminal is from a third cable. You need to figure out where that wire comes from. I'd wait until I got the new relay and see how it is suppose to be wired before I bought any other parts. 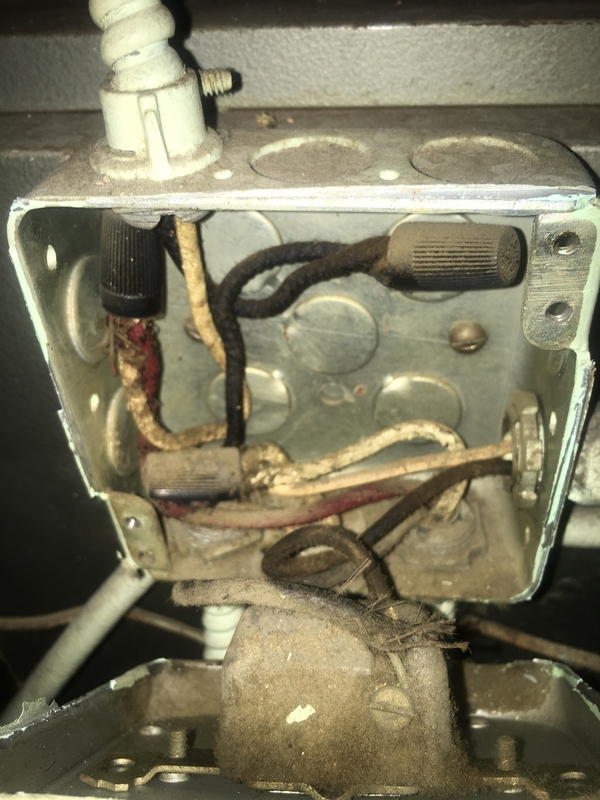 Paul48, agreed, I look at my old relay and the new one I just ordered, and you can see the lower quality just in the casing alone. Fred, thank you, will do. Once I take it apart I'll know more. 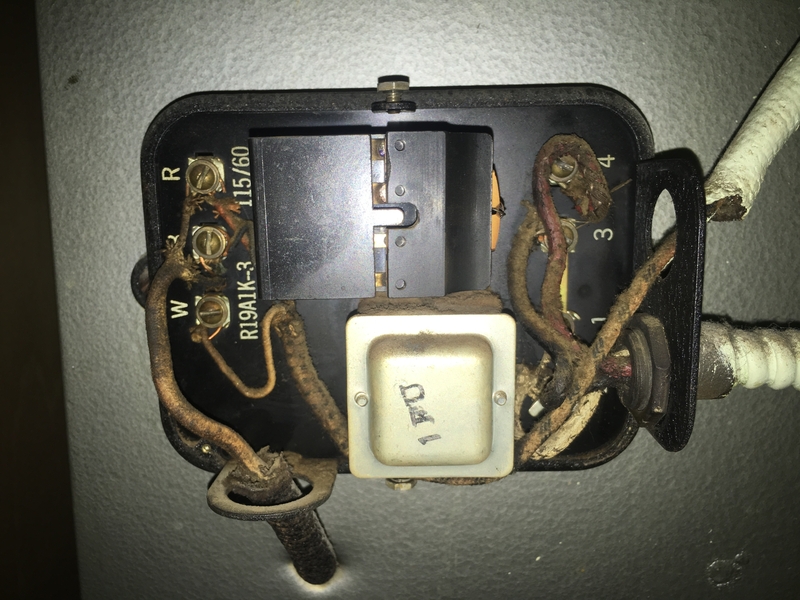 The wires connected to the W terminal are from thermostat, entering the housing at the top right of the unit and routed down and around that block with the "1FU" stamp (sorry don't know the actual term) that's in the lower middle of the relay. I'm sure I'll have questions during the install so will post an update in the next few days. *edit* ok one last thing as I do some last minute research before bed. That piece we are calling the thermostat, is that the aquastat? And I'm assuming mine is a "low limit" type, as it's set to 100 deg? So basically it signals the relay to only run the circulator when the temp is above 100 deg. Does that mean I can just use a low limit, relay aquastat, and merge the two controls? seems like a lot of savings if that's the case, especially if I need to replace both of these controllers right now anyways. Ok, so I opened the on/off switch box, and really looked at the wiring. 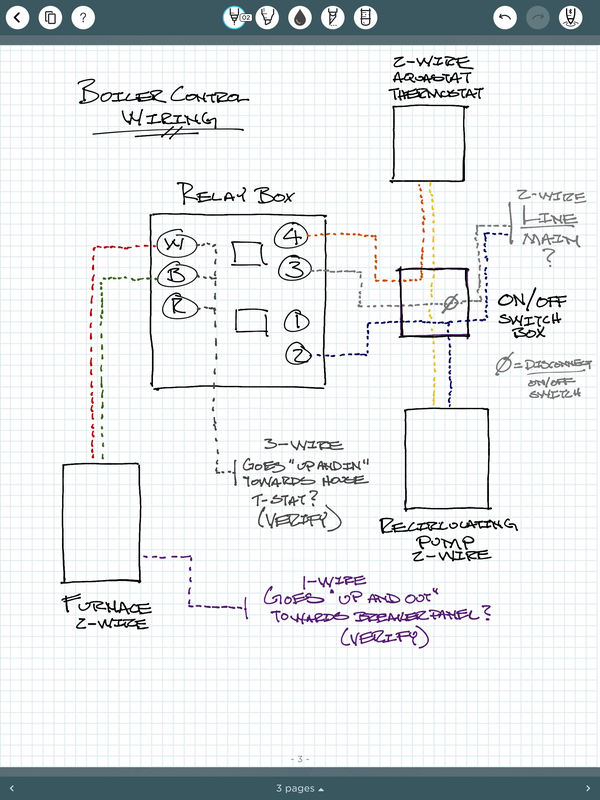 As best as I can tell, the attached is my current wiring schematic. There are two sets of wires coming from outside of the closet. I'm assuming one is to the thermostat in my living room. And the second is to the breaker panel? What's confusing me is there is also a conduit coming from outside the closet that goes to the on/off switch. Which I assume is the Line power from the breaker panel. I'm not sure. As a reminder, this was to help determine if I would also need to replace the aquastat/thermostat. Which, now that I've really looked, appears to be a two-wire unit. Hopefully I don't need to do anything but replace/re-wore the Relay. And it's a one to one replacement/same number of contacts/connections. 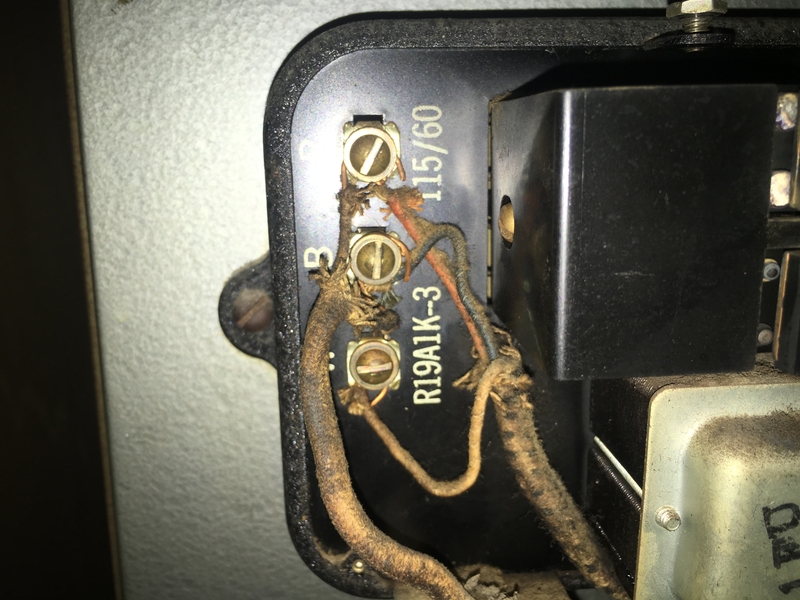 I'm thinking, from looking at the new relay and what @EBEBRATT-Ed said earlier, that it is your house thermostat that will likely have to be replaced with a two wire thermostat. Oh I see, thank you I will look at the wiring diagram from the new unit more closely once it arrives. It was supposed to be here today but now it's saying tomorrow. If that's the case, sorry I've never done this before... we're not taking about pulling new wires right? I can buy a 2-wire t-stat. Use 2 of the existing 3 wires. And abandon the remaining 3rd wire? There's no way I'd be able to snake new wire thru my house to the current location. Yes, you can just use two of the three wires that are already there.